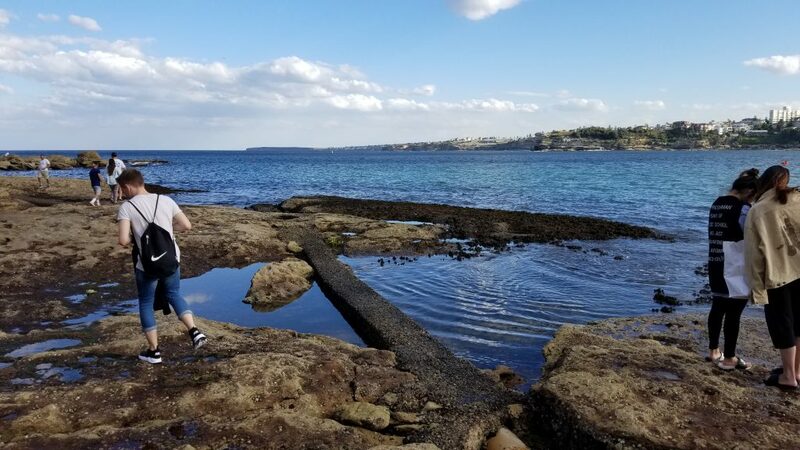 Recently I started spending some time at the beach which showed me an entirely new side to Sydney. 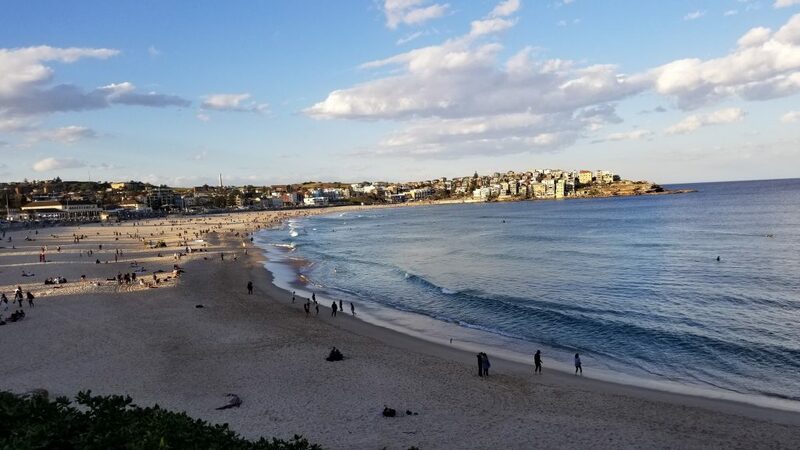 With Sydney being so close to the water, it should come as no surprise that they have plenty of beaches, the most famous of which is Bondi. Bondi beach and even just Bondi in general just feels different from the rest of Sydney. 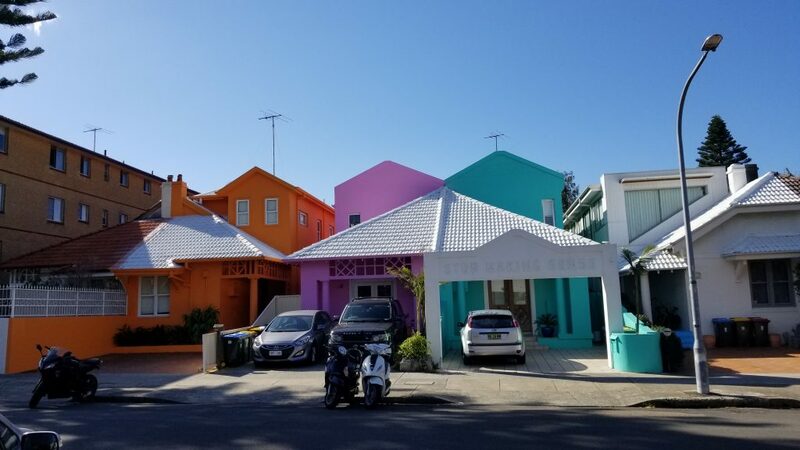 Similar to the Opera House or Darling Harbour, Bondi is clearly a tourist destination but it has a personality distinct from the CBD. Bondi is more relaxed and slowed down. The people are almost all tan and in great shape. 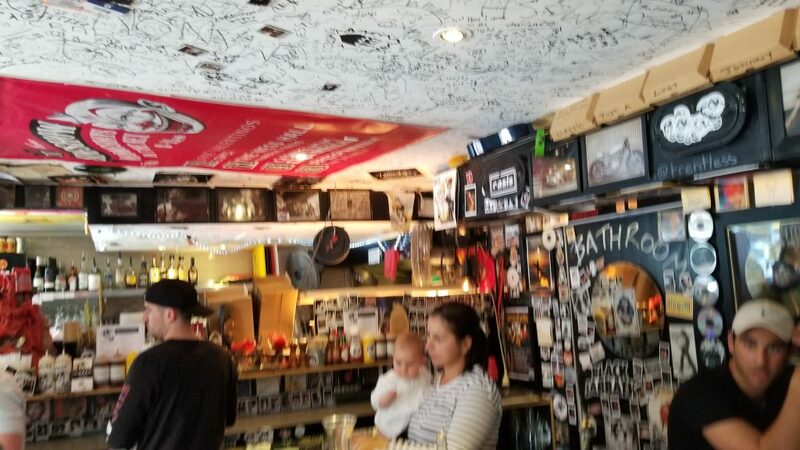 If you walk in from the beach you are greeted by an array of restaurants and bars, along with the sound of live music as musicians busk between cafes. 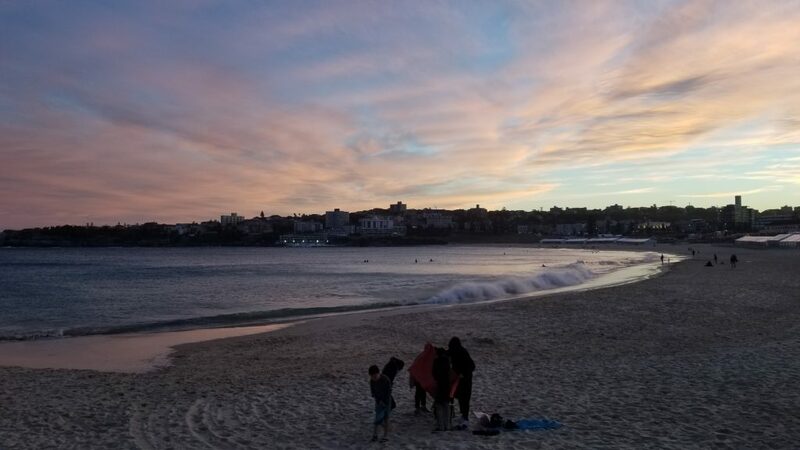 I had the opportunity my first visit to Bondi to attempt surfing in a group with an instructor. There wasn’t a cloud in the sky, the waves were coming in perfectly and because it is still winter the beach wasn’t all that crowded. 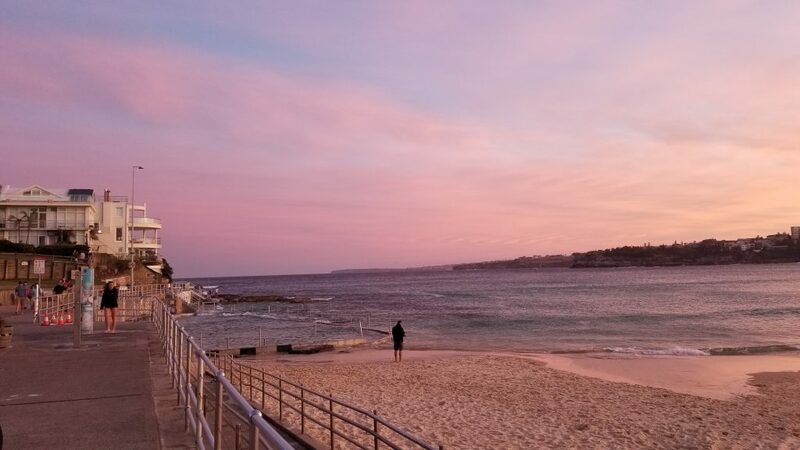 Coming from Michigan, Bondi beach surprised me a lot at first because it was just so much smaller than I had imagined! It certainly couldn’t have been much bigger than Holland State Park and this was to serve as the main beach for all of Sydney! And unlike the beaches of Lake Michigan, the sand doesn’t extend down the shoreline connecting one beach to another, rather, on either side of Bondi there are large rock outcroppings between each beach. Admittedly, the sand is extremely soft, and perhaps even softer than the beaches on Lake Michigan to those in Florida the sand on Bondi. And for those of you wondering how my surfing went…I was absolutely terrible. It was incredibly fun nevertheless and I will be coming back to try again. Another question and concern I heard a lot prior to leaving was people nervous about the sharks while surfing. 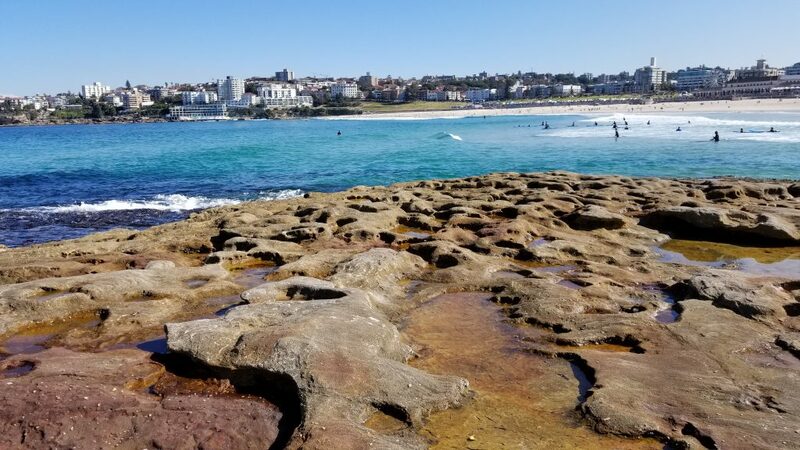 This actually isn’t much of a concern for beaches like Bondi because the beach is at the bottom of a small inlet and shark nets are set up across the rock outcroppings I mentioned to ensure that sharks don’t get through. This isn’t to say that shark attacks never happen, but they certainly aren’t too much of a concern for the Aussies. There also are apps that can be downloaded to one’s phone where you can see where sharks are at a given time because many of them have been tagged over the years. 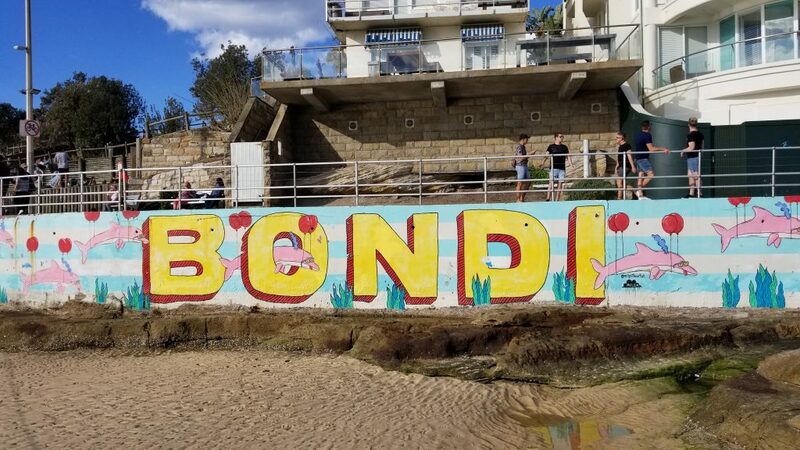 Some of the other fun things to do in Bondi, other than checking out the various surf shops or eating at some amazing restaurants is to swim in the Bondi Iceberg pools or to enjoy the coastal walk. I had a chance to visit the Iceberg pools recently, and they lived up to their name! 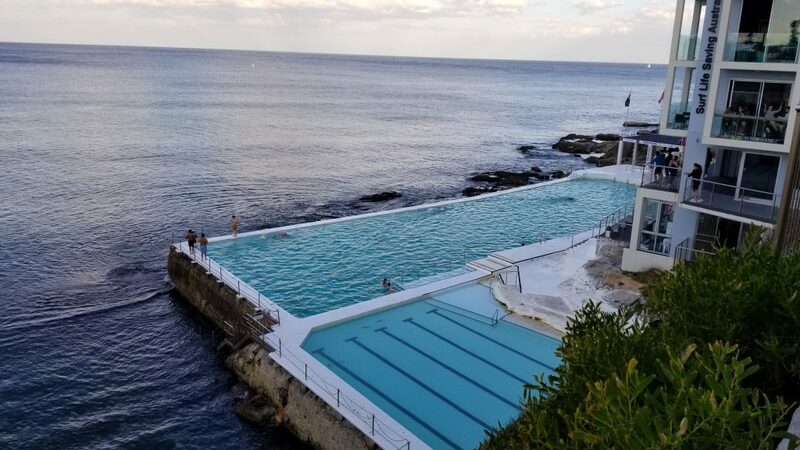 A group of friends and I opted to try to swim there, which is a swimming club with an above group swimming pool that is right on the rocks over the ocean, and it is so close that on windy days, waves can go into the pools. 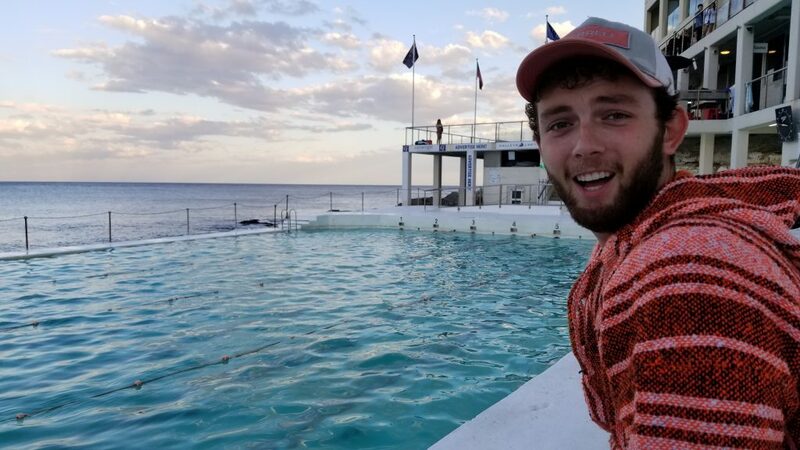 My friends and I had wanted to swim there instead of the ocean because it was just so cold, little did we realize that the Iceberg pools aren’t heated and are still saltwater! So, we hopped in, hopped out and dried off and called it a day but the location of the pools makes it a popular attraction as well. 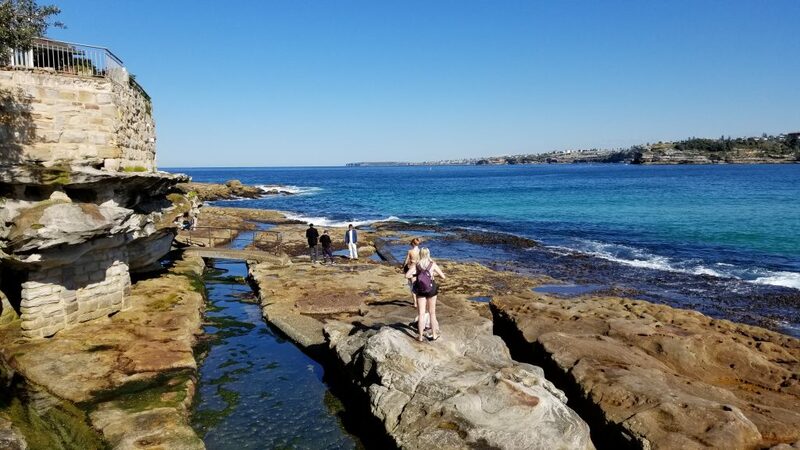 The coastal walk actually goes just above the Iceberg Swimming Club and connects Bondi to Coogee beach, Sydney’s second most popular beach. The walk is about six kilometers and along the way you go past various smaller beaches and see more rocks outcroppings over the ocean which is beautiful as well. I can’t wait for the weather to get warm enough so I can spend more time over in Bondi. Previous Previous post: Lions and Tigers and Bears, Oh My!